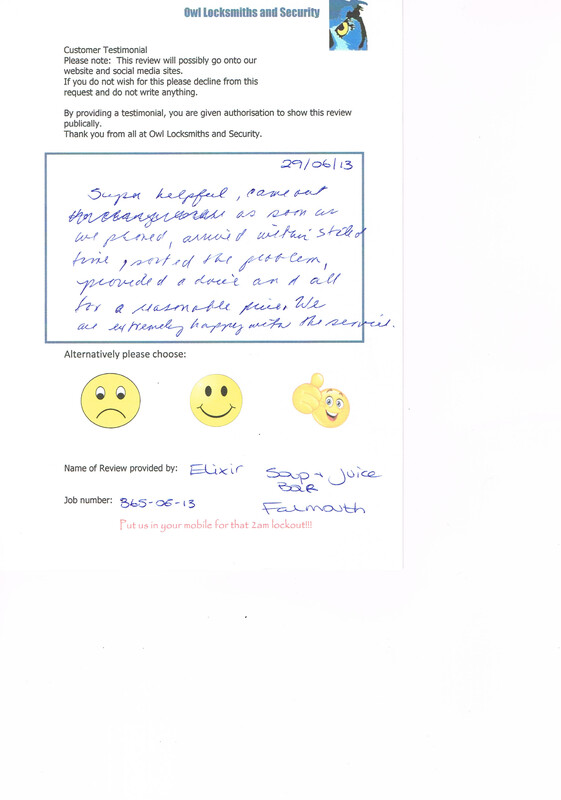 ( 29th June 2013 ) .. Saturday night brought concern for our clients at the Elixir Soup & Juice Bar in Falmouth. We responded to assist the proprietors, who had concern about their faulty lock. “Super helpful, came out as soon as we phoned, arrived within stated time. Sorted the problem, provided a lock and all for a reasonable price. We are always happy to oblige.